A Simple Gesture engages the entire community to end hunger by making giving easy, convenient, and fun! 1. 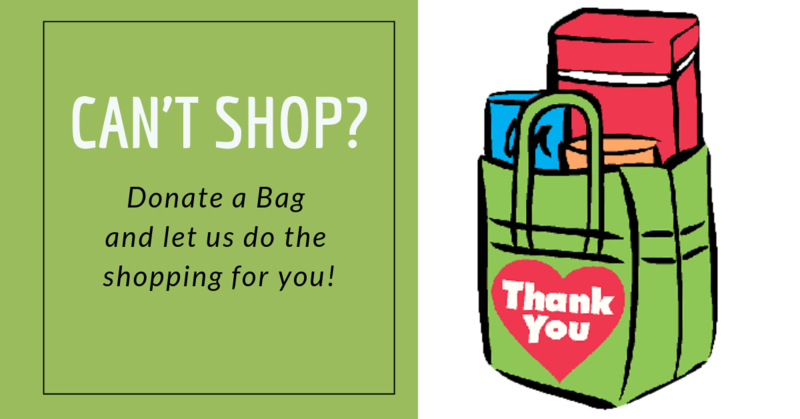 We provide volunteers with a special green bag and a list of suggested nonperishable items. 2. Each time they go to the grocery store they pick up an item from the list and store it in the bag. 3. 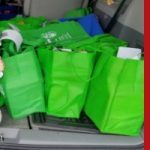 On a designated day they leave the bag outside their home and a neighborhood volunteer picks it up, leaves a new bag, and delivers the food directly to a local food bank.